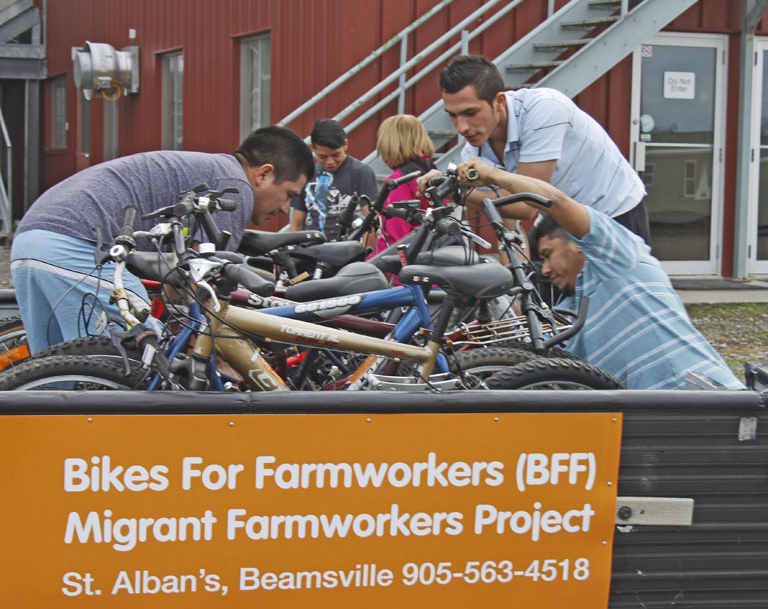 Launched in 2013, a migrant worker outreach ministry at St. Alban’s Anglican Church in Beamsville, Ont. has become a hub of local support for farm labourers hailing from countries such as Mexico, Guatemala, and Honduras. 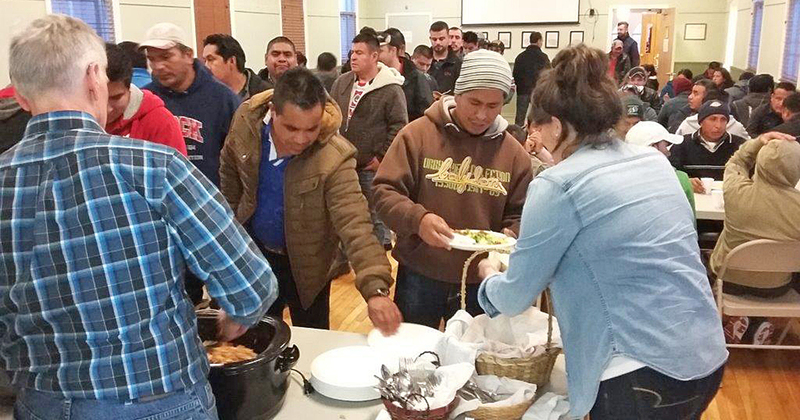 Also known as the Spanish Ministry, St. Alban’s partners with other churches, businesses, and community organizations to help provide food, clothing, bicycles, language classes, and fellowship to Spanish-speaking workers. Now, this parish program is set to expand into a fully-fledged regional ministry. The Diocese of Niagara is looking to hire a new Migrant Farm Missioner to fill the shoes of the Rev. Javier Arias—former rector of St. Alban’s and creator of the migrant outreach program. The deadline for applications was on Oct. 12, and the successful candidate is tentatively expected to be hired in November. Like Arias, the missioner will need to be able to communicate in Spanish with the workers. But under the direct supervision of Bishop Susan Bell, the new position will also expand the ministry further across the diocese. Beyond St. Alban’s, the missioner will oversee efforts to build relationships with migrant workers and address their needs at multiple parishes including Christ Church in McNab (near Niagara-on-the Lake) and St. John’s Anglican Church in Jordan. “I think the ministry that St. Alban’s has been undertaking with migrant workers is a really successful story of responding to human need within the parish’s local context,” said the Rev. Canon Bill Mous, Director of Justice, Community and Global Ministries for the Diocese of Niagara. The migrant worker outreach program at St. Alban’s began shortly after Arias took on the position of rector. Five years ago, on his way to church one morning, Arias met a migrant worker from Mexico. Asking what the man and his fellow temporary foreign workers did for spiritual assistance, Arias was told that they had nowhere to turn to. They were largely at the mercy of the farmer who employed them. 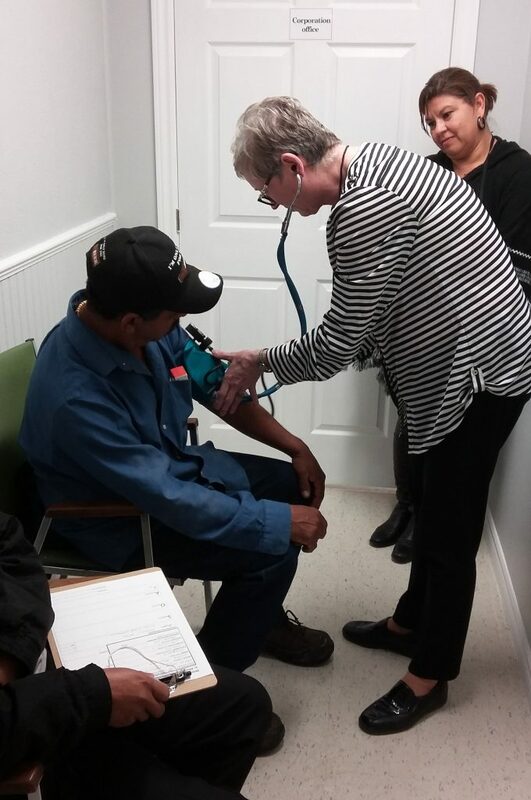 The employer only provided bare-bone essentials—and pastoral care wasn’t one of them. Seeing a clear need amongst the migrant workers, Arias responded by creating the outreach ministry. The program initially began with Sunday evening services that were held in Spanish, and that would be followed by a communal meal. Working with his wife Ruth Hurtado, Arias put together “welcome kits” containing items such as toothbrushes, toothpaste, soap, and shampoo—a welcome gift for many of the workers who have few possessions in Canada. Today, the bicycle program has become one of the ministry’s most needed services, as it helps the workers get around town. Without the bicycles, headlights, and tail lights that St. Alban’s collects, labourers would have to depend entirely on the weekly transportation provided by the farm owner—even for day-to-day essentials such as groceries. Realizing that he and Ruth could not handle the ministry on their own, Arias began to invite church members to help out. Two such volunteers were Caron Edwards and Johanna Deacon, currently in charge of coordinating clothing and welcome kits. The pair also pick workers up, drive them to church, and help prepare the communal meals after worship. At the same time, she described benefits of the outreach as a “two-way street”. Since its inception, the Spanish ministry has grown to the point where at least 20 parishioners volunteer on a regular basis. The weekly Sunday service attracts anywhere from 75 to 100 people. The primary sponsor of the ministry is the Anglican Foundation, which has provided grants totalling $30,000 over a three-year period. With the help of the congregation and the wider community, the variety of services provided by the ministry has also branched out. Between May and August, Spanish-speaking students from Brock University held weekly classes at St. Alban’s to teach the workers English. A local Christian book store has partnered with the church to donate Spanish and English children’s books for the English classes. Other churches in the area and local businesses such as Tim Horton’s help prepare food for the Sunday meals. Nurses and doctors also volunteer their services twice per month at a clinic set up in a triage room. As the seasons change, Caron Edwards also notes changing needs among the migrant workers. In winter, the outreach ministry responds to the workers’ needs for warm clothing. “These people work sometimes without gloves in the wintertime, and they start in January … That’s the start of our winter, really,” Deacon said. The new Migrant Farm Worker Missioner for the Diocese of Niagara is slated to take over the helm of this ministry in January 2019. “There are quite literally thousands of farm workers that come from Mexico and the Caribbean to the Niagara peninsula each year, and they are permitted to work for up to eight months,” the Rev. Canon Bill Mous says. “During that time, they have some particular needs, but also some particular vulnerabilities and challenges as well.